When Anchorage joined the Welcoming Cities network in 2014, we reaffirmed our commitment and connection to each other and to our community. The Welcoming Anchorage initiative honors the values deeply rooted in our city that sits on the traditional homelands of the Dena'ina. "Welcoming Anchorage" highlights Anchorage as a place proud of our heritage and poised to be a globally competitive, culturally vibrant community ready to take on the opportunities and challenges we face at the edge of the Arctic. This week, the Municipality and our partners – the Anchorage School District, the Anchorage Economic Development Corp., the Anchorage Museum and countless others are celebrating Welcoming Week for the third year in a row. As with prior years, we have a series of events planned to bring our neighborhoods and residents together to once again commit to welcoming all who are dedicated to ensuring that Anchorage is a safe and happy home for generations to come. The Anchorage Assembly kicked off this year's Welcoming Week by adopting the Welcoming Anchorage Strategic Roadmap at a recent meeting. This roadmap concluded months of engagement and discussion around our community's shared values. This collaborative process led to the development of a living document that describes Anchorage residents' sense of what a Welcoming Anchorage looks like, feels like and acts like. The roadmap identified the core values of our community — inclusivity, equity, and justice — and offers a variety of actions our city's residents and government can take as we seek to become a globally competitive and culturally vibrant city. In addition to the Strategic Roadmap, the work done through the Welcoming Anchorage initiative helps us better understand the ways in which Anchorage's diversity is a vital part of our city's future. According to the New American Economy, or NAE, foreign-born Anchorage residents contributed $1.9 billion to Anchorage's GDP in 2014, and represented $573 million in spending power. Foreign-born residents also bring education and experience to our economy, representing 10.3 percent of the labor force in our city – and 9.6 percent of STEM jobs. We also know that diversity is one of the most important ways we can attract and retain young talent to our city, a vital piece of building a bright economic future. Increasingly, cities around the U.S. are recognizing that welcoming newcomers can transform local economies and revitalize cities and neighborhoods. 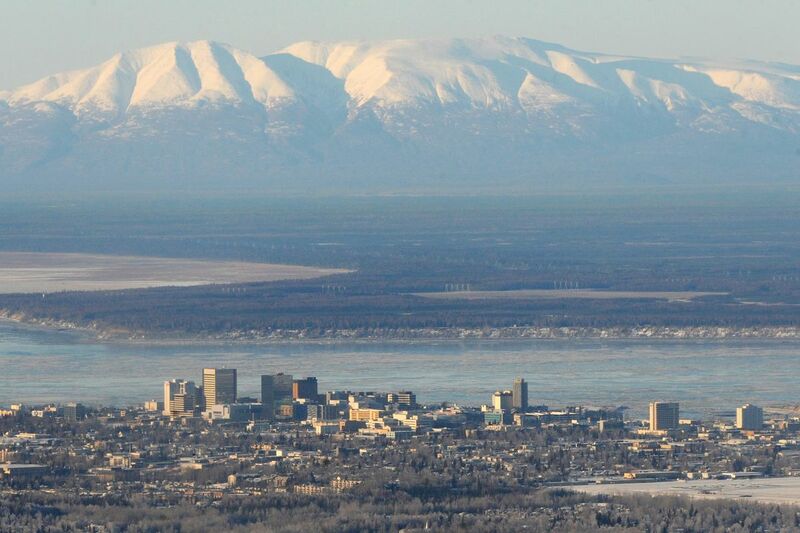 Anchorage is no exception. As a welcoming city, Anchorage is focusing on building inclusivity as both the foundation for our prosperity and the tangible expression of equality and equity. Breaking down barriers to our markets opens access to capital and resources to more people in new ways and often for the first time. Our state and city economies grow and so too do the opportunities for our residents to forge fiscally secure futures for themselves and their families. Inclusivity is also essential as we prepare for the impacts of a changing climate. A stressed community, one where poverty and structural marginalization are facts of life, is not a resilient one. When communities are economically and structurally isolated, they are more vulnerable to acute environmental shocks such as fires, floods, and freezing temperatures. The recent hurricanes in Texas and Florida are stark reminders of how neighbors need each other in order to cope with emergencies. Connecting neighbors to each other is one of the goals of being a welcoming city, and by strengthening our connections to each other, we expand our ability to respond to a range of challenges and opportunities. Embedding equity, inclusivity and justice at the heart of our city is vital to ensuring a healthy future where our city's residents can successfully navigate and thrive through our future, particularly in times of change. These are deeply held values that define us as a community, and are the foundation to a safer, stronger, and more secure Anchorage. Mara Kimmel is the first lady of Anchorage. She has has a long career in Alaskan public policy focused on issues of rights and justice. She has been on faculty at the Seattle University School of Law satellite Anchorage campus, the department of Political Science at the University of Alaska Anchorage and served as the Walter J. Hickel Professor of Strategic Development and Entrepreneurship at Alaska Pacific University. The views expressed here are the writer's and are not necessarily endorsed by Alaska Dispatch News, which welcomes a broad range of viewpoints. To submit a piece for consideration, email commentary@alaskadispatch.com. Send submissions shorter than 200 words to letters@alaskadispatch.com. Mara Kimmel is first lady of Anchorage and Walter J. Hickel Professor of Strategic Development and Entrepreneurship at Alaska Pacific University. She has worked with immigrants and refugees and Alaska Native organizations throughout Anchorage and Alaska and co-founded the Alaska Institute for Justice.